Sun in Cancer loves to be needed, and Moon in Sagittarius needs to be free. This is a tricky combination that can start with Cancer steering the relationship towards a domestic union, and end with Sagittarius struggling to escape. Sun in Cancer’s purpose is to nurture, and to have someone that needs nurturing. A lover who is receptive to his mothering would be best. He doesn’t necessarily want a helpless partner (although Shadow Cancer feels most secure with someone who is dependent on him). 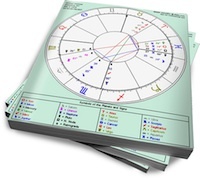 Sun in Cancer is a domestic sign, and he’ll probably want to create a home with his partner (once she earns his trust). At the end of the day, he’s happiest with a place where he can curl up and feel safe with his lover. Moon in Sagittarius needs options. Intimacy does not come easily to this Moon sign, because her ideal domestic scenario involves being able to up and leave whenever she feels like it. This doesn’t fly with most partners, so it’s best that she have a lover who (at the very least) is not clingy. A partner who is also a travelling companion would be even better. A traditional home with prescribed gender roles will suffocate her, but a setup that does not make heavy emotional demands will bring out her buoyant, fun-loving side. When she feels that she has a range of options (even if she never exercises them) Moon in Sagittarius can be the most optimistic of partners. Sun in Cancer will be drawn to Sagittarius’ inner fire, and will immediately show his affection by trying to look after her. Depending on her Sun sign, Moon in Sagittarius may initially tolerate Cancer’s nurturing, but she won’t actually need or want his help. In short order, Moon in Sagittarius may shy away from Cancer, and Sun in Cancer will become demanding and clingy. But with other, binding connections between them, this partnership can work if Cancer gives Sagittarius her space. He is a Cardinal sign, so moving forward and initiating new situations is not foreign to him. If he can handle the fact that Moon in Sagittarius needs her own world to explore, she might just stick around.